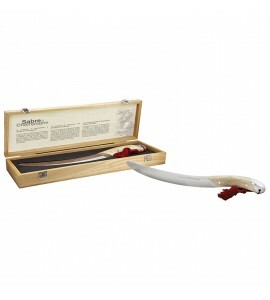 for modern day swashbucklers. 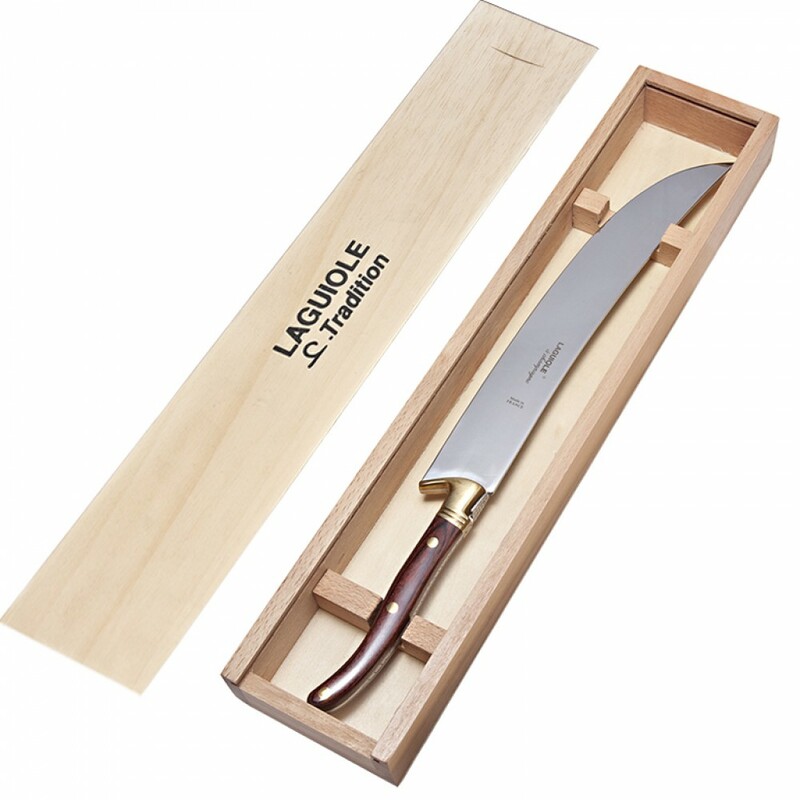 This formidable model has a blunt stainless steel blade, brass bolster and rivets and an inlaid rosewood handle. Traditional Laguiole decor embosses the handle and bolster. Blade 11-3/8” long, overall, 16-3/8” long. (beautiful 2-piece slide-top wooden box). Warning: The Champagne Saber should only be used by an experienced sommelier trained in the art of sabrage. Imprint area on Blade: 3” x 1” Metal Laser engraving available. Imprint area on Box: 3” x 2-1/2”; ColorBlast or laser engraving is available.